The first impression makes it obvious that the Nam Hai bets on the wow effect. From the reception area the reflective pools and terraces cascade all the way down to the sea, stretching almost half a kilometre. 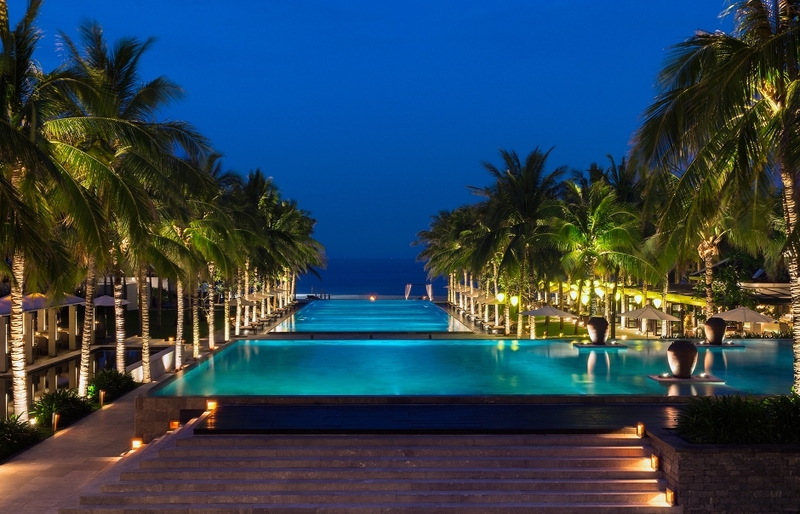 Nam Hai is a high-class hotel with a striking design and architecture—and ambition of becoming one of the most prestigious hotels in Vietnam. 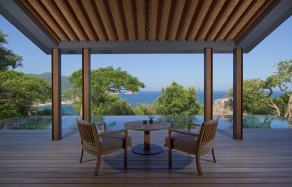 Competent combination of materials, colors and architectural solutions create a dramatic effect. 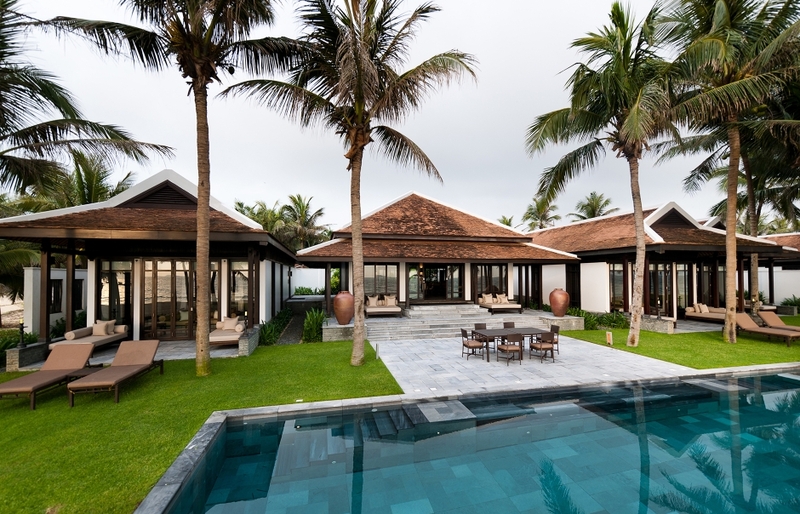 Dark wood, white walls, stone floors and a well-balanced architecture, together with infinity pools and perfectly maintained lawns are a testament to the sophisticated luxury of Nam Hai. 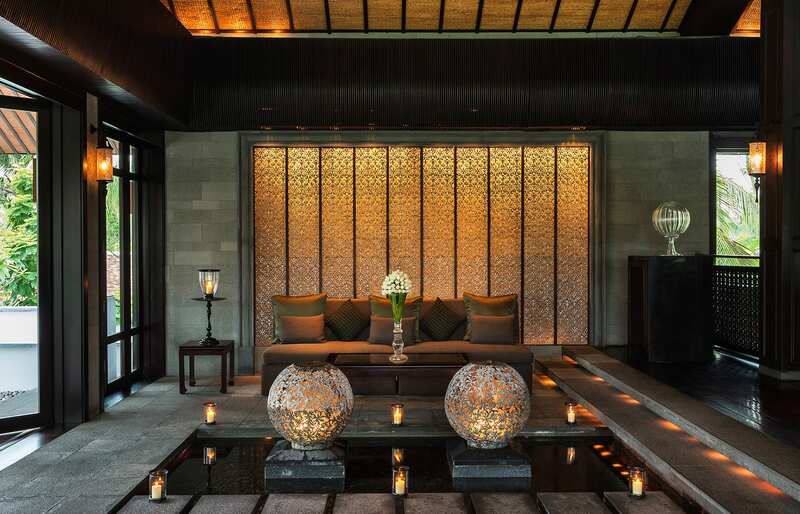 The elegant style of Nam Hai is a result of collaboration of the hotel’s founder Adrian Zecha (best known co-founder of the Aman Resorts), a French architect Reda Amalou and Indonesian interior designer Jaya Ibrahim. 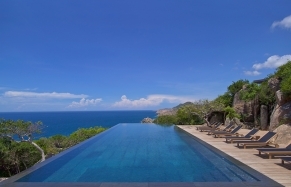 Hotel comprises of 100 detached villas, many with private pools located around sandy coves. 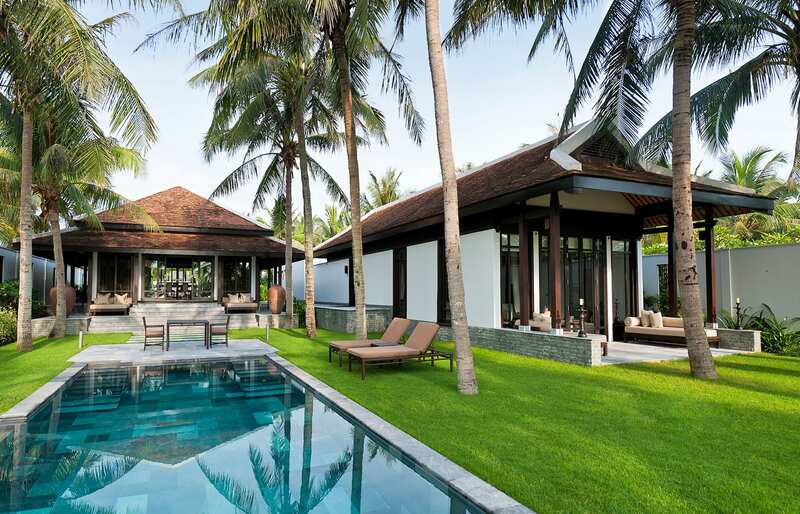 They are styled on traditional Vietnamese courtyard houses, and the layout and materials used ensure maximum relaxation and comfort. Soft silks and dozens of pillows are one facet of that comfort—another are modern gadgets: the large flat-screen TV, iPod docking station, free library of movies, TV and internet (free in Pool Villa). 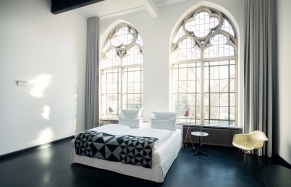 The rooms are multi-level, with a raised four-poster bed, inside & outside showers, and the glass walls leading to the terrace. Luxury guest bathrooms feature huge baths sunk in the floor. 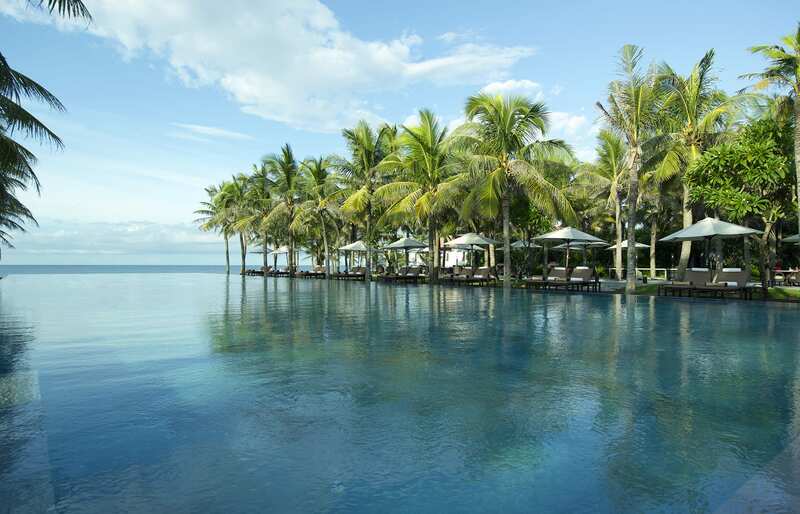 The hotel also boasts two restaurants, three cascading pools, a library and a wonderful spa with relaxation villas erected over the water. 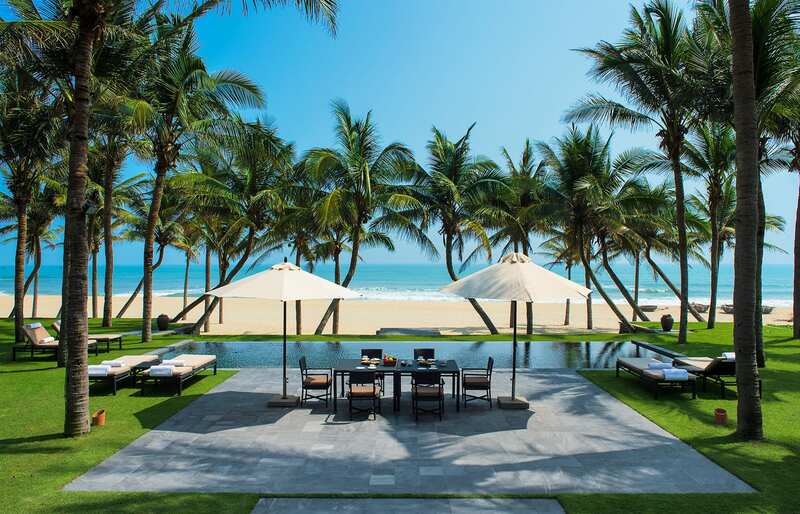 Nam Hai is built on a quiet beach of the South China Sea in central Vietnam, near a sixteenth-century trading port, known today as the town of Hoi An. 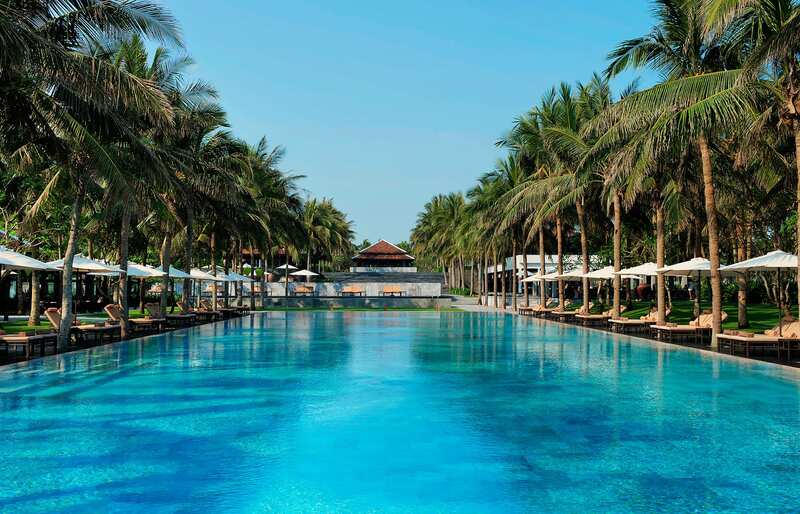 One of Vietnam’s most famous attractions, the ancient city of Hue—a must visit—is in the vicinity too. The journey to Hue takes about three hours by car. 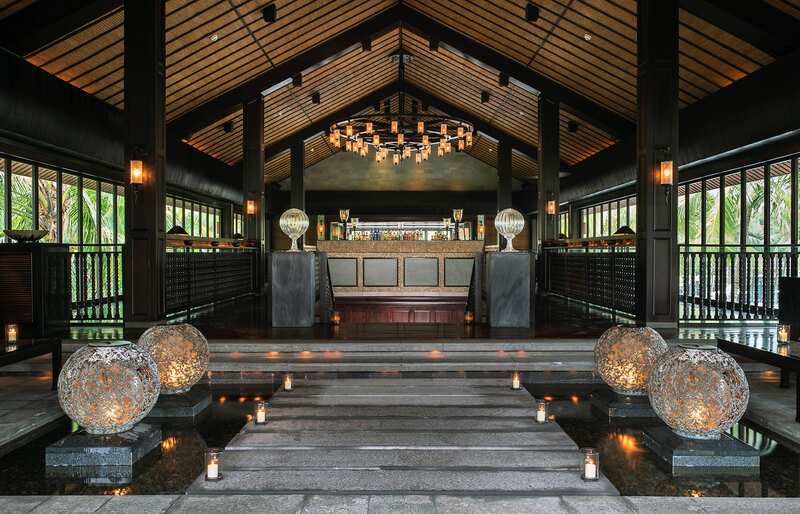 The Nam Hai is perfect for guests who like socializing. 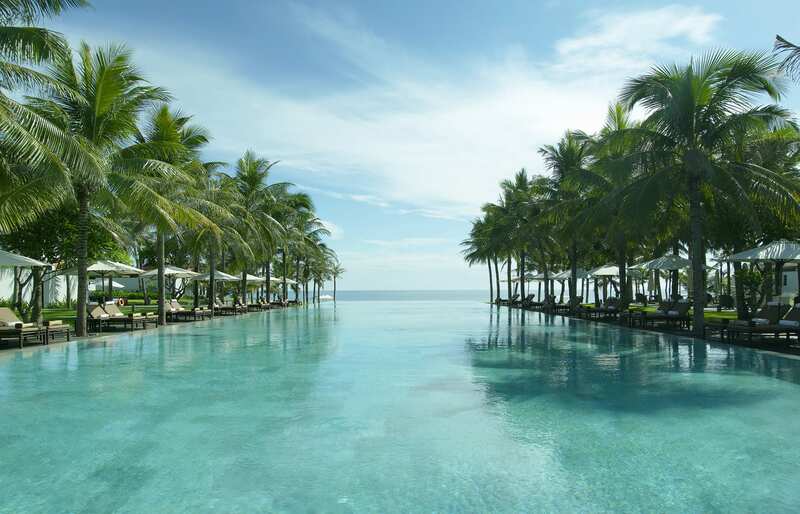 We recommend booking one of the Pool Villa Residences, which come with some cool extras. The Nam Hai has an ideal location to explore the town of Hoi An, one of the most interesting attractions of Vietnam and a UNESCO World Heritage Site. The town has a sleepy charm of the French Quarter and a great street food. The hotel belongs to the GHM hotels group.